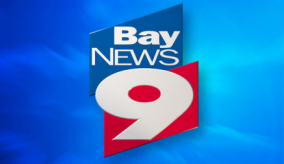 The rumors are true: Bright House Networks will be adding its Tampa Bay cable news station, Bay News 9, to its Central Florida lineup this week. The sister channel for our News 13 is expected to go live as early as Tuesday along with a host of other new channels on the cable network. But … if you just can’t wait to see what the Tampa folks watch for local cable news, you apparently can get a sneak peek early. According to a post our TV News Talk Message Board area, you can “trick” your cable box to allow you to see Bay News 9 now. Here are the instructions: Hold down the OK/select button until a small icon flashes on the cable box (takes 10-15 secs). When it does that, press the right arrow next to the ok/select button and type in 1209 — the Orlando channel for Bay News 9.